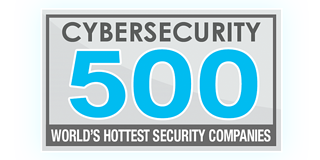 KnowBe4, the United States’ most popular integrated platform for security awareness training and simulated phishing tests, announced it attained a top spot (#220) in the Cybersecurity 500, the definitive list of the world’s hottest and most innovative companies in the cybersecurity industry. Steve Morgan, founder and CEO at Cybersecurity Ventures, and Editor-In-Chief of the Cybersecurity 500 explained on the Cybersecurity 500 website, “We continuously look at thousands of companies for inclusion in the Cybersecurity 500, by soliciting feedback from CISOs, IT security practitioners and service providers, and researching hundreds of cybersecurity events and news sources that we follow. Find out how thousands of organizations have made their employees their first line of defense against social engineering. Get a quote for KnowBe4's new-school security awareness training and be pleasantly surprised.